A day on the water is always full of surprises. Silly question. Sheepshead is definitely in my top-three favorite fish to catch. These sneaky bandits offer great challenge. Just getting a hook set is tricky, and the battle is always satisfying, especially with a fish over five pounds. When it comes to table fare, they don’t call them “river snapper” for nothing. 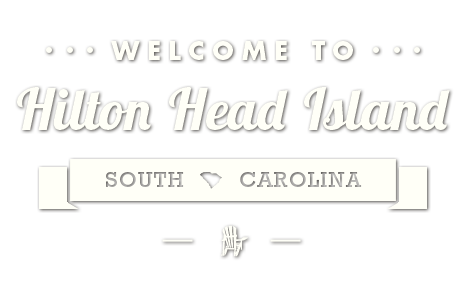 Visions of fried sheepshead with grits and eggs over easy danced through my head. I met Don at 6:30 the following chilly morning, and we put the boat in just as the sun broke over the horizon — the announcement of a fresh day full of promise. It had been years since I’d been in the creeks we traversed on the way to the reef. Good memories floated through my freezing brain. The 38-degree morning, coupled with a 30 mph cruising speed, had my teeth chattering. Thankfully, after a half hour, we arrived at the reef and had it all to ourselves. Studying the depth finder for the structure that had been so productive the weekend before, we marveled at the calmness of the ocean. 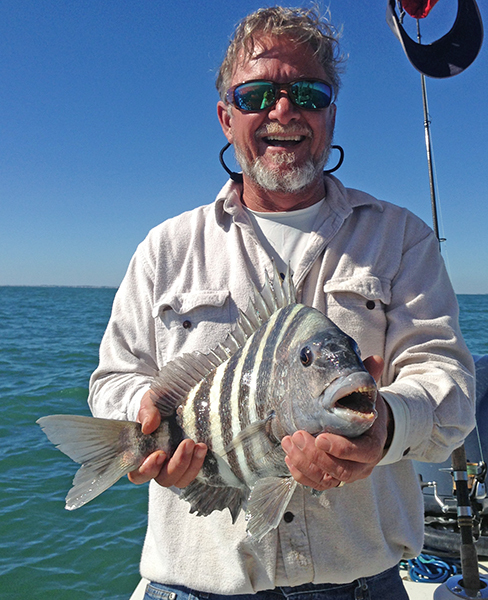 It was a picture-perfect day with flat seas, as Don’s fishing buddy Von manned the anchor. Structure found and anchor set, we pulled out the fiddlers and baited hooks. With eager anticipation, I waited for the telltale slack in the line that signaled the bait had reached the structure some 40 feet below. Reeling the fish-finder rig up just until there was tension on the line, I focused intently on the rod tip. You see, with these bandits, the slightest tap (unperceived at times, if you’re not watching closely) is all you get before you’re fishing on credit. After thinning out the obligatory black sea bass (always an inch short of legal size), I finally drew first blood on the black-and-white striped target. Not a huge fish, but a sheepie nonetheless. Don soon caught a big fish, which would turn out to be a red drum. Several bruising battles with black drum ensued, and I smiled thinking I had the winner in the clubhouse. Pride goeth before a fall, however, as Von’s rod bent double. After a hard-fought battle, I slid the net under his fish, which was obviously bigger than mine. Fourteen sheepshead later, we headed home. Another great day of bandit fishing! Capt. Miles Altman of Bayrunner Fishing Charters has more than 42 years experience fishing the waters surrounding Hilton Head Island. Don’t miss the new “Finatic” boat, which can accommodate up to 12 passengers and features a special three-hour shark/dolphin eco-tour trip. Contact Miles at (843) 290-6955 to book an unforgettable inshore or offshore charter fishing trip, departing from Shelter Cove Marina.